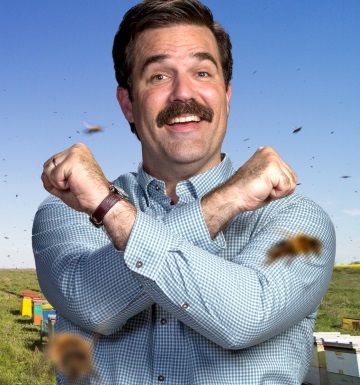 Peter is a self-described “Experienced Apiarist (Beekeeper)” and he’s one of the stars of Deadpool 2, a movie that is in theatres even as I write this. This is as fresh as a Beekeeper Review can get. 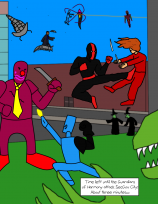 In the movie, the wisecracking mercenary Deadpool puts out an ad to assemble a team of super-powered individuals for a dangerous mission, a group that would become known as X-Force. Though he doesn’t have any powers, Peter saw the ad and decided he’d try out for the team, just to help out and have an adventure. He also maintains a presence on social media, though I don’t know how long that will last now that the movie as come and gone. So how about the review. How much of an action hero is our Peter? Well, without getting into spoilers, I’ll say that he holds his own alongside the rest of the team, and even outperforms most of them. He may have a weakness against swans, but he’s got bees on his side and treats them, and animals in general, with respect. 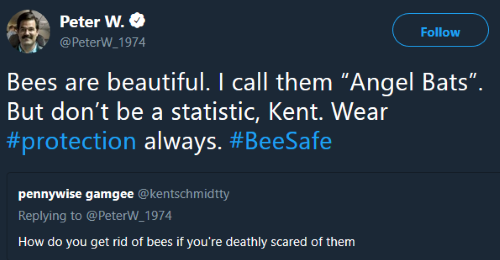 Apart from that, he seems like a good guy who has not given in to Beekeeper Rage, and genuinely wants to help out his team. Overall, pretty good. Three Honeycombs out of Five.